When I painted this watercoloured plaid New Year card last month I also watercoloured another piece and made a shaped card with it using the Balloons dies from Simon Says Stamp. I’ve linked all supplies at the end of this post. Compensated affiliate links used. These colours were spot on for a boys birthday card, and I think the shaped aspect adds to the fun. I used varying strengths of Indigo and Olive Green Yellowish to create the plaid, leaving some areas unpainted to add highlights. I used a white gel pen to add dash lines throughout the pattern as you would see on fabric as the colours weaved together. When dry I die cut with one of the large Balloons dies. 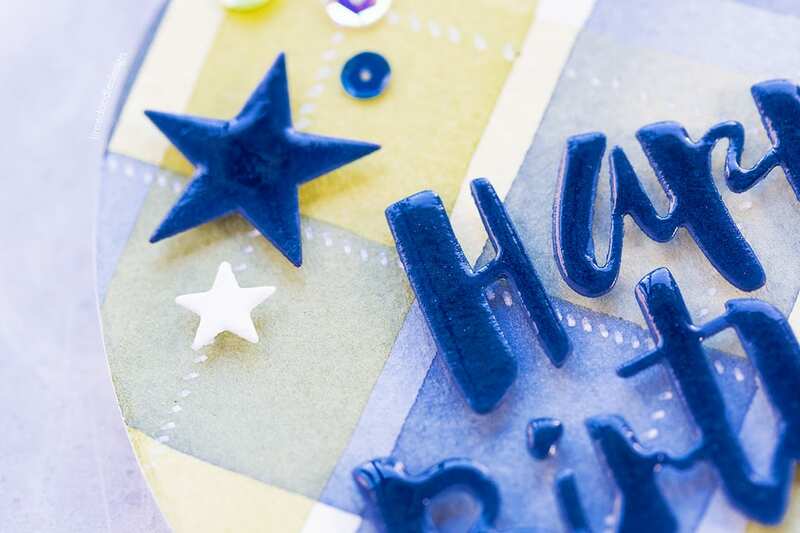 For the sentiment, I die cut the Painted Happy Birthday die from Soft Navy card, added it to the balloon with foam adhesive and then covered with Nuvo Glaze for a shiny finish. 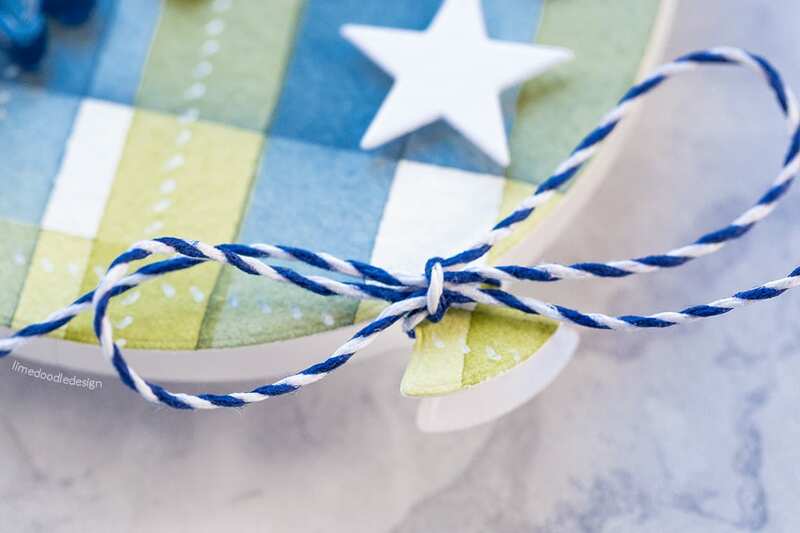 I also die cut and added some white and Soft Navy stars too using the Large Holiday Shapes dies. I tied the neck of the balloon with Lawn Fawn twine and left the tails nice and long. I mounted the Balloon front on to a Balloon die cut from white card, scored at the top so the card can stand up if required. As a final touch, I added sequins interspersed among the stars. This shaped card was fun to put together, and I love the watercolour plaid. 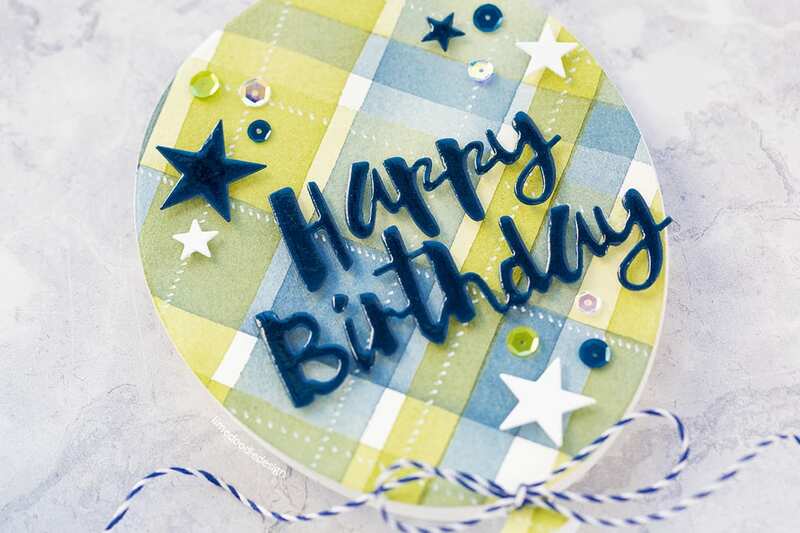 However, this card would work equally well with a balloon cut from patterned paper too. I LOVE this, so adorable, I have to PIN it. I love the color combos also. Love this card, its realy one for boy’s and everyone knows that is not always easy. I love the plaid pattren with the gorgeous colours. I surely gif it a try. Thanks you for making and sharing. 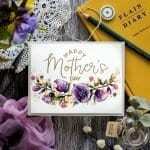 There is a lot of work in this gorgeous card! Oh Debby, your plaids are always so beautiful. 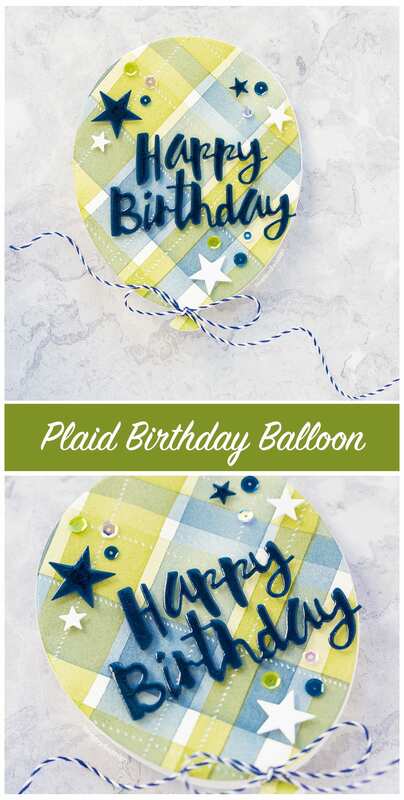 This plaid balloon card is delightful, a fabulous idea! 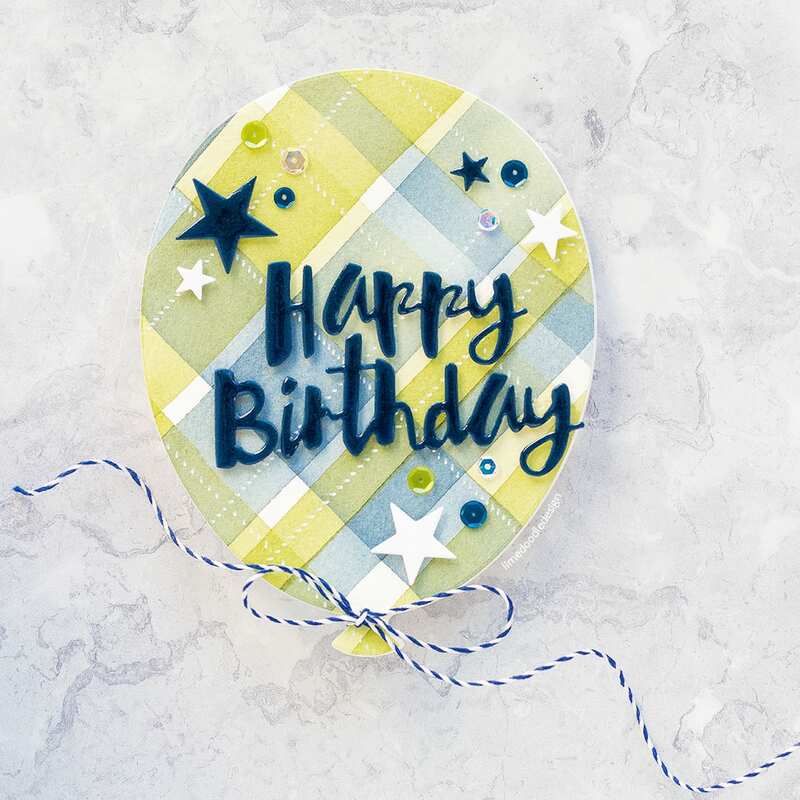 I’m a plaid lover and this card is amazing! The white dash lines are so clever, Debby! Just pinned it. Your cards are always amazing! I do look forward to all your posts even if I don’t always comment. Your talent with watercolor & coloring is unequaled. 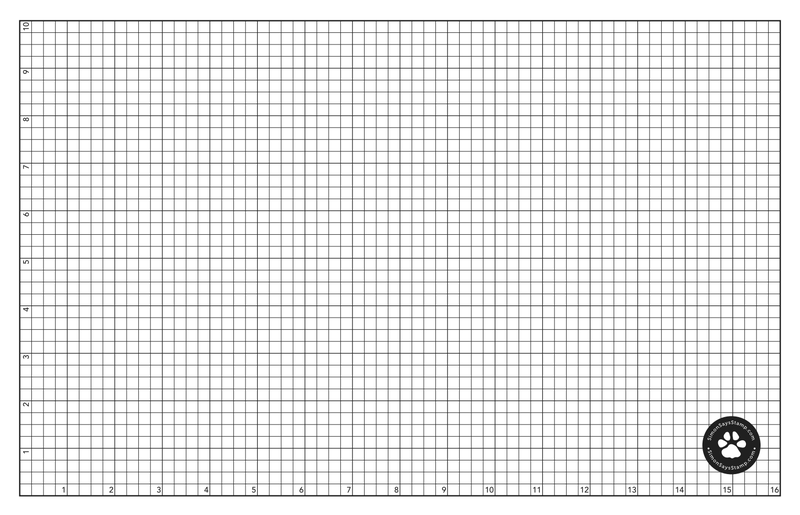 Just how do you get your lines so straight? Such a great card! I might have to get out my watercolours and try making some plaid. beautiful!! Wish you would do a video showing the process. Oh my ! This balloon shape is so adorable !